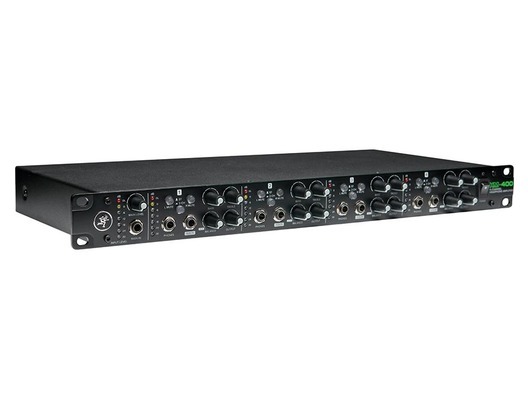 The Mackie HM-400 is a 19" rack-mountable headphone amplifier in Mackie's HM series. 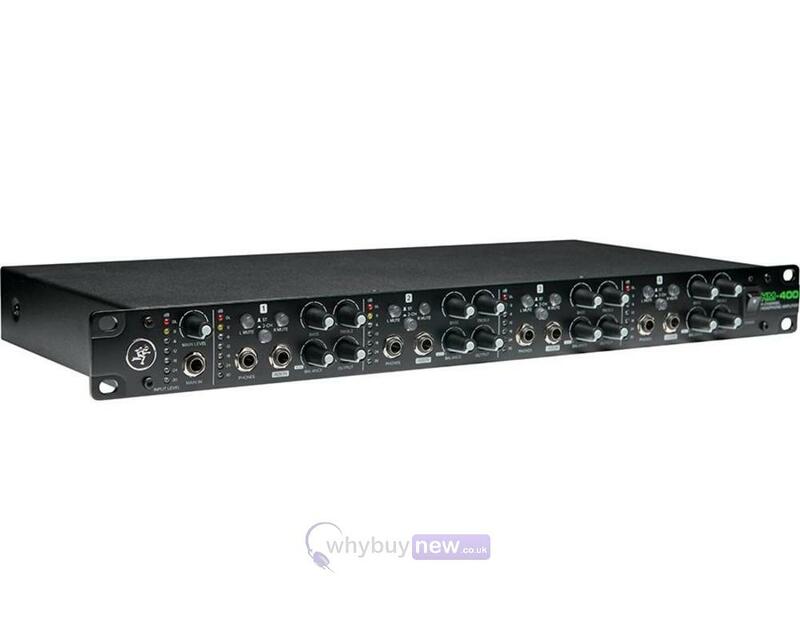 Perfect for professional use in venues such as recording studios or practice spaces, it features four input channels, each with 3 headphone outputs. This allows up to 12 pairs of headphones to be connected, so several people can easily monitor audio at once. Extremely versatile, the HM-400 has L/R inputs and outputs with both XLR and 1/4" jacks, which you can choose between depending on whether you are dealing with mic-level or line-level signals. In addition to producing excellent sound, this amplifier is also made with Mackie's trademark Built-Like-A-Tank construction, making it immensely durable and reliable. The 19" rackmount HM-400 4-Channel Headphone Amplifier offers an incredible amount of versatility and excellent sound quality in a single rack space. Perfect for professional applications including studios, House of Worship, practice spaces, and more. The HM-400 features a main input with level control plus stereo outs, aux inputs and EQ per channel with 12 total headphone outputs.